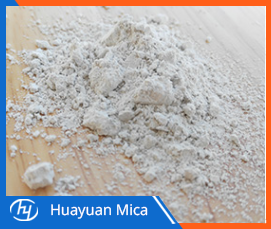 The Sericite Mica Powder has the characteristics of fine slippery feeling, stable chemical property, strong adhesion, good dispersibility, uniform mixing with water and glycerin, silky luster, anti-ultraviolet light, etc. It is the quality of various cosmetics in the beauty and cosmetic industry. raw material. Because of its fine texture, elasticity, suitable gloss, high whiteness, and little or no heavy metal elements such as lead and mercury, it can meet the special requirements of some high-end cosmetics. Sericite Mica contains certain K2O, has certain plasticity and dry flexural strength, small shrinkage in drying and firing, low sintering temperature, wide sintering temperature range, and can be fired once. Therefore, sericite can be used in ceramic products such as glazed tiles and low-temperature kiln furniture. Sericite Mica Supplier In the paper industry, the addition of sericite powder can increase the whiteness of the paper color, improve the UV-reflecting ability and corrosion resistance of the paper, and the paper stored for a long time is not easy to yellow. In the production of welding electrodes, sericite powder is used as the coating of the welding electrode to prevent cracking of the coating, to act as a flux stop, and to impart good slip and viscosity to the electrode coating, which helps to improve the performance of the electrode. The coating performance and the improved appearance quality of the electrode can replace titanium dioxide and reduce the formulation cost of the electrode.